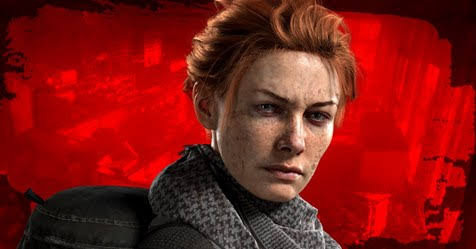 With E3 right around the corner, we see the 4th Character Trailer of Overkill's The Walking Dead game..
Meet Heather, the newest playable character of Overkill's The Walking Dead game. Below we see her Character Trailer.. However, I would like to see more backstory and depth given to the characters. Hopefully, with Robert Kirkman working very closely with Overkill Software on the game, we get to see some real, solid storytelling that we all know from the Walking Dead franchise. Now, that we have seen all the 4 characters, it's time to finally show off some actual game-play. Yet to see anything in terms of game-play so I'm crossing my fingers that it will actually be good. Funny how I'm actually playing Dead Island currently, so I am quite excited to see how this can do a lot better in terms of the entire experience. I'm expecting to see a lot of info about this during E3 2018 and possibly a release date. Assassin's Creed Odyssey Collectibles Revealed! E3 2018: Hopes, Expectations & Predictions! Assassin's Creed Odyssey Revealed for E3 2018! My Thoughts: God of War & Plat #16!